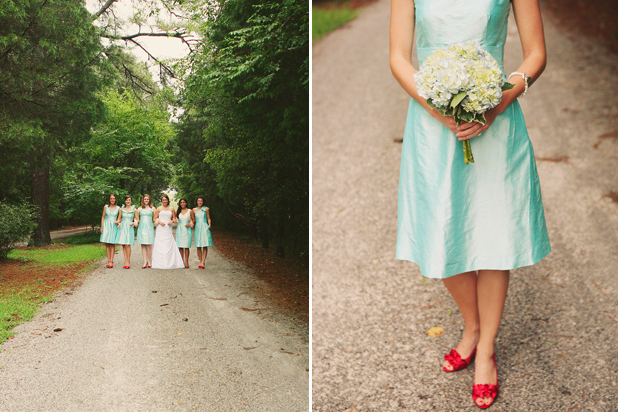 Today we’re sharing a lovely aqua and red wedding, captured by Heather H Photography. 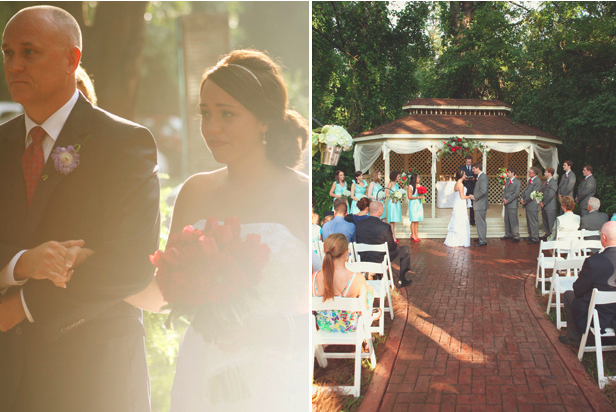 Caitlin and Rob were married at The Cates House in Alabaster, Alabama. 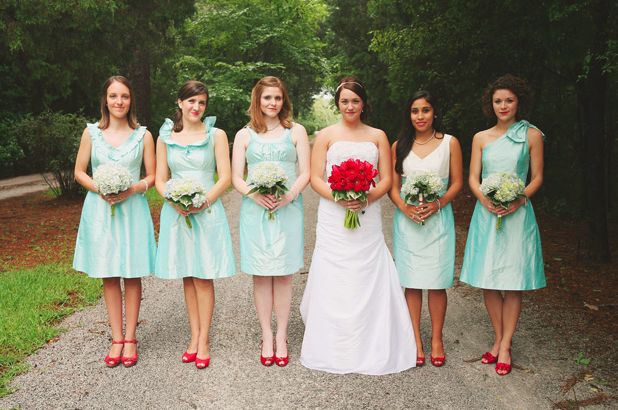 We love the pops of red in the bridesmaids shoes and Caitlin’s bouquet! Caitlin let her girls pick their own dresses in the “pond” color by Lula Kate. 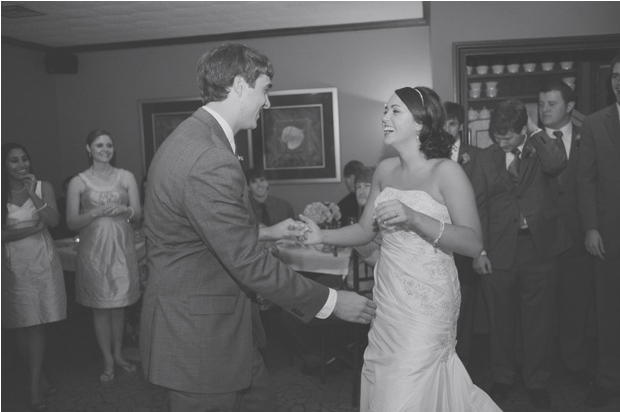 Her dress was a strapless, trumpet style from David’s Bridal. 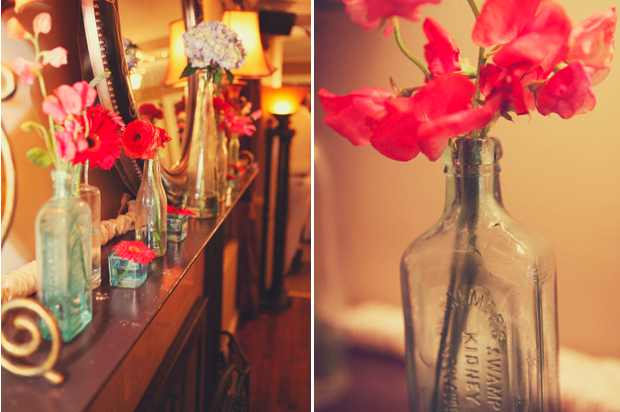 The flowers were done by Tiffany Robinson of Studio Flower. 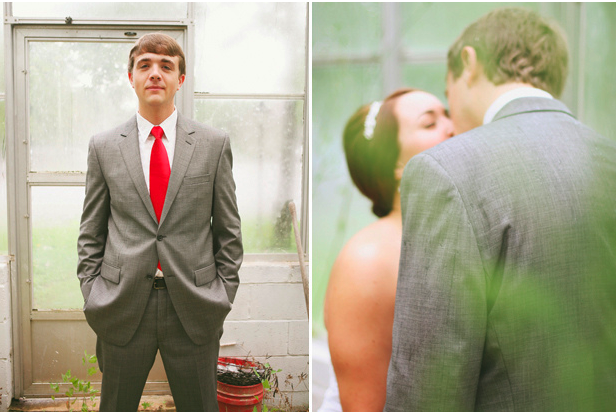 The guy’s grey suits were by Calvin Klein, from the Men’s Wearhouse. 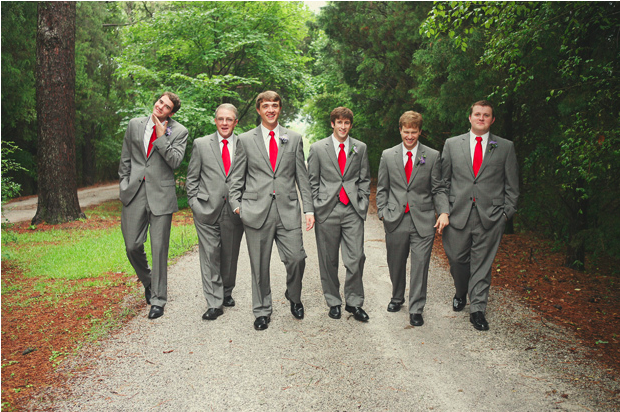 I love the color coordination and how the poppy red stands out against the grey suits. At the guestbook table, pictures of Caitlin and Rob were hung with clothespins from a pair of old aqua blue shutters. Instead of just signing their names, guests filled out note cards with their favorite recipes! What a great keepsake for the newlywed couple – they can try cooking the meals together for years later. 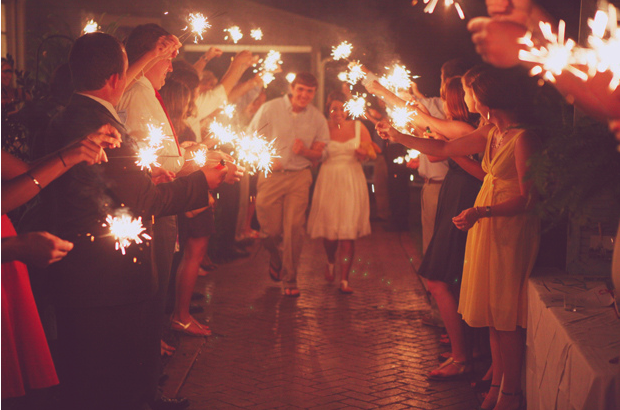 We always love a good sparkler send-off! 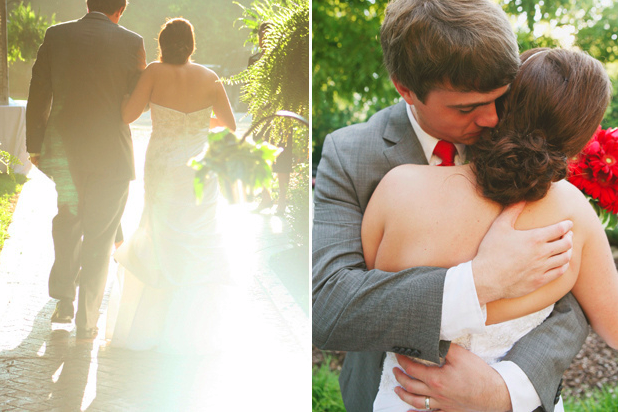 Thanks Heather for letting us share your photography, and congrats to Caitlin and Rob! We are a bunch of volunteers and opening a new scheme in our community. Your site offered us with valuable info to work on. You’ve performed a formidable job and our entire community will probably be thankful to you. its as if you jumped into my mind and created the exact wedding i want! 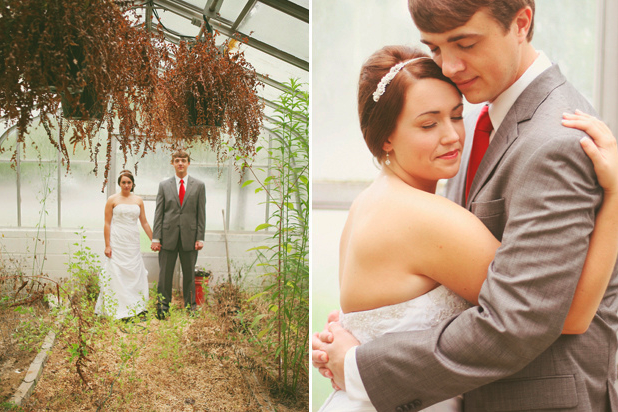 beautiful beyond description– will definitely be using this as inspiration as i plan my July wedding! thank you thank you thank you! Wow! That Red is JUMPING OFF THE PAGE! Fab!! Thank ya’ll so much for featuring our wedding. It makes us feel so special. 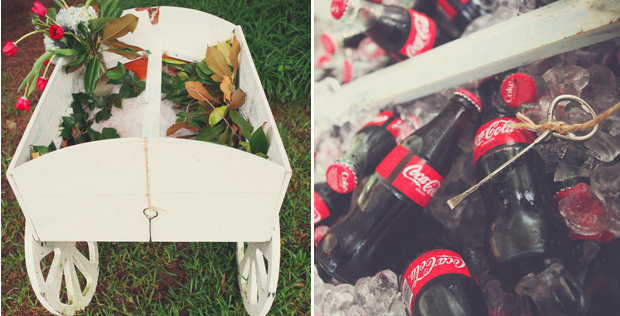 Heather did a great job photographing our big day and all our vendors were amazing too. 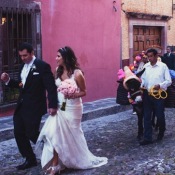 I just wanted to throw a quick word in that my bouquet was actually made of gerbera daisies and tulips (my fave). I guess I should have added that into the deets. Thanks again for all your sweet comments. It truly was the night of our lives!! OMG. I. Love. These. Colors. So much. This is gorgeousness, ladies! 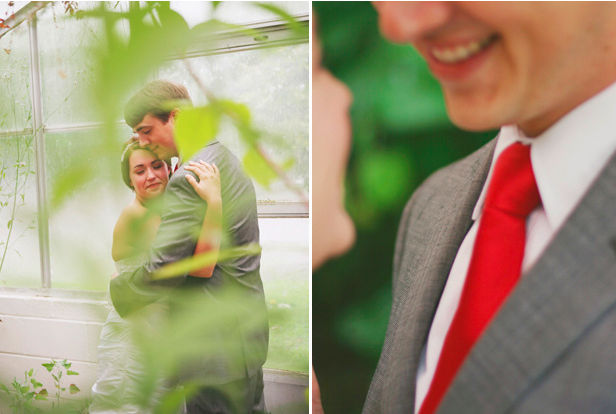 Such a beautiful wedding with one of my favorite color schemes!! love that pop of red with that shade of blue. 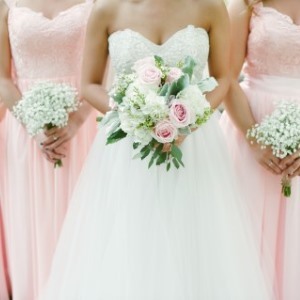 gorgeous pops of colors in this wedding..